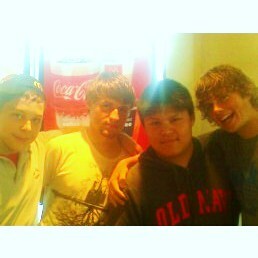 We went to McDonalds on our very first outing and met - from left to right - Steve, Henry, Ben, and Josh at the McDonalds on 159th and Central. They are high school juniors that go to Oak Forest High School. We were able to pray with them and discuss some the pressures of being young these days. These kids reminded me of my own children. My prayer will be that they will make the correct choices, and that the LORD will continue to protect and send individuals to water these plants. This entry was posted on Saturday, August 20th, 2011 at 1:57 pm	and is filed under Janet Schroeter's caseload. You can follow any responses to this entry through the RSS 2.0 feed. You can leave a response, or trackback from your own site. Father I pray for these 4 young men. Please touch them OH Lord and bring them to yourself OH Most High!